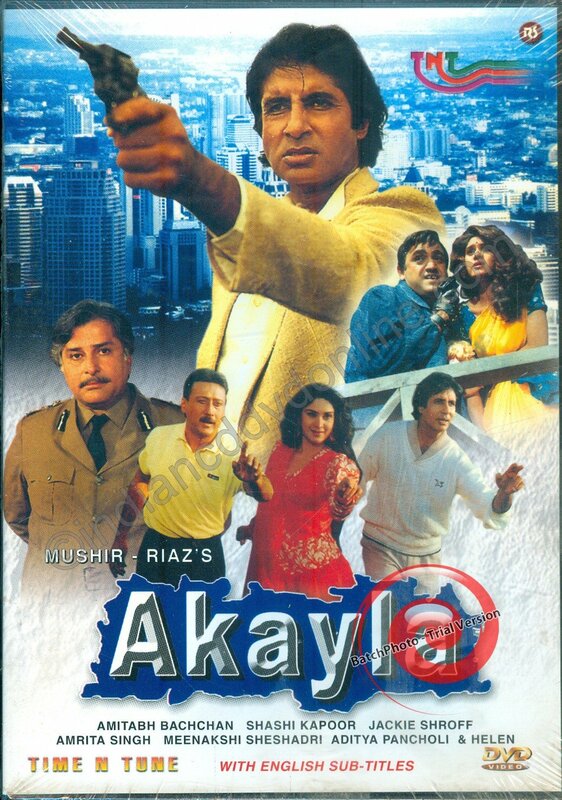 Akayla is a 1991 Indian Bollywood action film released on Nov 08, 1991. 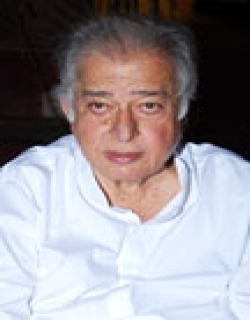 The film is directed by Ramesh Sippy, produced by Mushir under banner named M. R. Productions. Vijay and Ajay have been living without their parents since, tender age and as a result Vijay has looked after Ajay, seeking that he has a good education and gets the good facilities that lacked somewhere, while he is still a police officer in the Bombay Police and is now an Inspector. One day in all this, he falls in love with Seema and wants to get married to her, but quickly changes his thoughts when he finds out that his dear friend and garage mechanic named as Shekhar was already in love with her. After this, Shekhar and Seema get married to each other and eventually deliver a baby boy called as Bobby. Ajay meets and falls deeply heed heels with Neetu and both seek Vijay's blessings for their wedding, which takes place with lot of celebration. Vijay then one day meets with a club dancer named as Sapna, and is also attracted to her and would like to get married with her. Before he could agree her to the marriage, he has to first sort out the trouble with a guy named as Anthony. 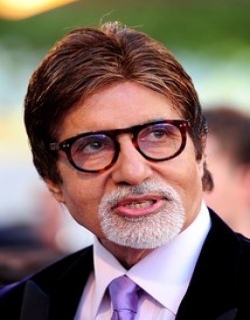 Vijay Verma (Amitabh Bachchan) is a honest inspector who fights crime. He was in love with Seema (Meenakshi) but never managed to propose to her. Seema gets married to his good friend Shekhar (Jackie Shroff). Vijay gets fooled in his duty by Tony, a criminal who dupes him by making use of his twin brother Jojo. He later manages to catch Tony but he runs away from jail. 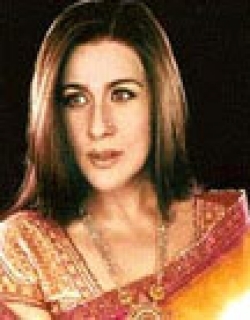 Vijay falls in love with Sapna (Amrita Singh). In the meantime, Tony kills Shekhar and Seema. He also kills Ajay, Vijay's brother and Ajay's newly wed wife, Nitu. Now what will Vijay do? Will he kill Tony and take the law into his hand? Akayla is the story of Senior Police Inspector Vijay Verma (Amitabh Bachchan)-a silent man, a man alone. Alone in his crusading fight for justice. Alone in his bitterness and frustration at the restraining inadeqacies of Law. Alone in his battle against the hard-core criminals who always seem to get away even with murder! His lonelines does no end here. His personal life too, is full of emptiness, an emptiness full of aching memories of a lost love Seema (Meenakshi Sheshadri)- a love, not lost but sacrificed for his dearest friend Shekhar (Jackie Shroff). 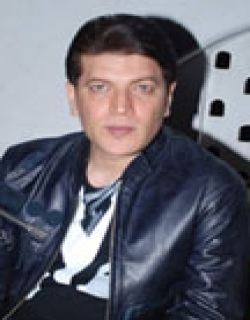 All his love, is therefore bestowed on his one and only younger brother Ajay (Aditya Pancholi), who alongwith his younger bride-to-be Neetu (Kiran Joneja) form the only slender thread that ties him to an otherwise meaningless world of hatred and violence. . In the midst of all his madness and mayhem, he comes across a simple, sweet and lovely young woman, Sapna (Amrita Singh). Her understanding warmth and tenderness touches a chord in him. An unspoken relationship develops between these two lonely people. Simultaneously he has succeeded in putting a couple of hard-core criminals behind bars. And so, a sense of peace seems to have crept into his otherwise disturbingly trubulent life. . But alas! It is a short-lived peace, a lull before the storm. For even the infeatable Vijay Verma is not prepared for the torrent of violence and bloodshed that is about to be unleased. This time the hero has met more than his mathch-twice as cunning, twice as evil as anything he has ever encountered before ! . On taking up the gauntlet againt this Devils incarnation Tony-Jojo (Keith Stevenson), he has put at stake the very lives of those whom he loves most. And the stakes against him continue of mount as finally even the Police Commissioner (Shashi Kapoor) cannot accept his unorthodox course of action and is forced to stop him with all the might at his command. [Source: Booklet] Check out this page for more updates on Akayla. This page provides latest and updated information about Akayla (1991) movie which released on Nov 08, 1991. Akayla (1991) is directed by , produced by , starring .We have also provided 0 trailers and videos, 3 photos, 32 user reviews, and 0 critic reviews.Akayla (1991) has received 2.8 rating from user reviews.The overall rating of Akayla (1991) is 55 and movie is 2.8.You can review, like, dislike this movie and also can add to favorites. You can also find information on showtimes, CDs, DVDs, online rental, online free watching.